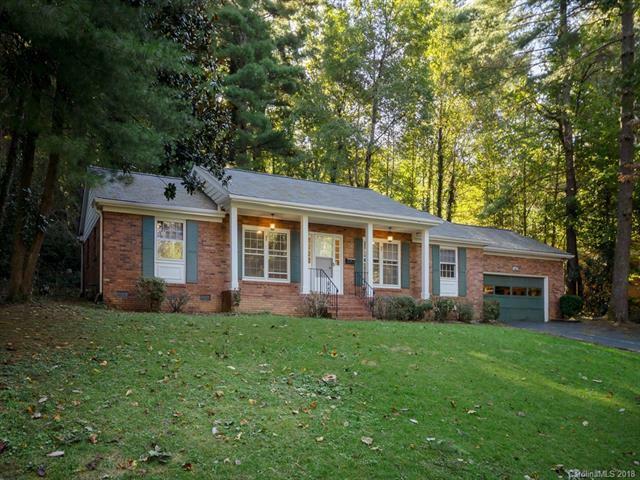 Great Henderson County location, quiet Timberlane Estates in Etowah. One-level Living with spacious sunroom (not included in heated sqft.). 3 bedroom and 2 bath with open Eat-in kitchen, Family Room/Den with Stacked Stone Fireplace, Dining Room plus Living room and spacious double garage with built-in cabinets on main. Ready for updates and improvements, with pre-inspection, good condition and basic repairs completed. Being sold "AS IS". Also, house can be sold with additional adjacent build-able vacant lot, asking $ 250,000. Call Listing Agent for details on House Lot Combination.